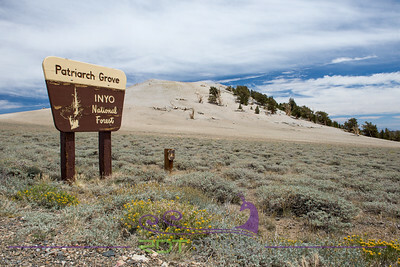 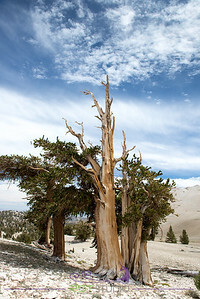 Bristlecone pines grow in isolated groves just below the tree line, between 5,600 and 11,200 ft (1,700 and 3,400 m) elevation on dolomitic soils. 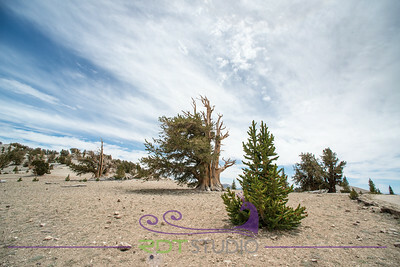 Because of cold temperatures, dry soils, high winds, and short growing seasons, the trees grow very slowly. 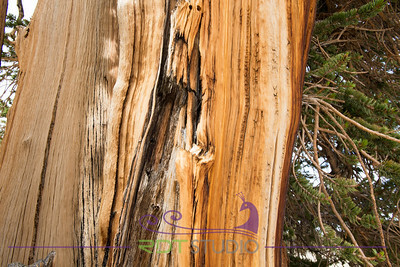 Even the tree's needles, which grow in bunches of five, can remain on the tree for forty years, which gives the tree's terminal branches the unique appearance of a long bottle brush. 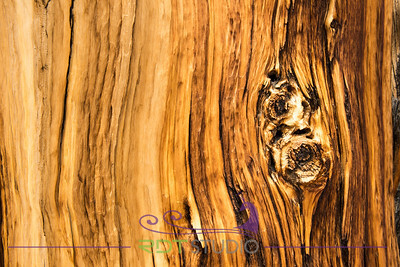 The wood is very dense and resinous, and thus resistant to invasion by insects, fungi, and other potential pests. 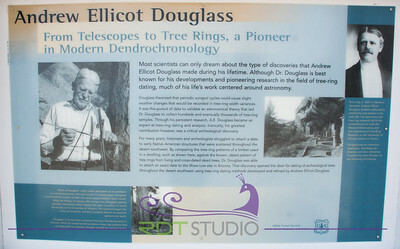 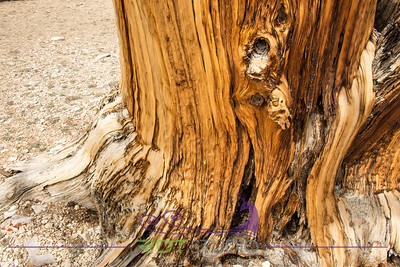 The tree's longevity is due in part to the wood's extreme durability. 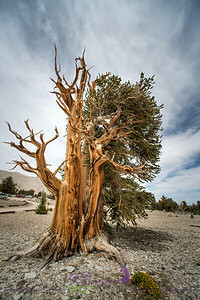 While other species of trees that grow nearby suffer rot, bare bristlecone pines can endure, even after death, often still standing on their roots, for many centuries. 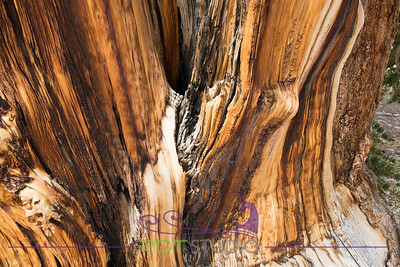 Rather than rot, exposed wood, on living and dead trees, erodes like stone due to wind, rain, and freezing, which creates unusual forms and shapes. 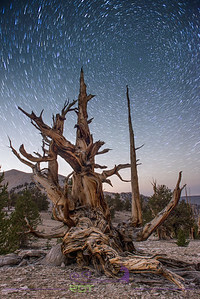 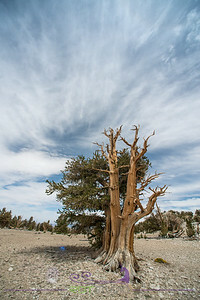 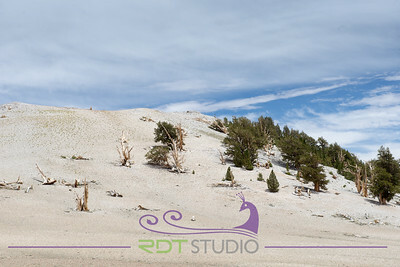 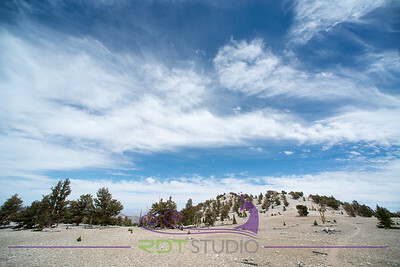 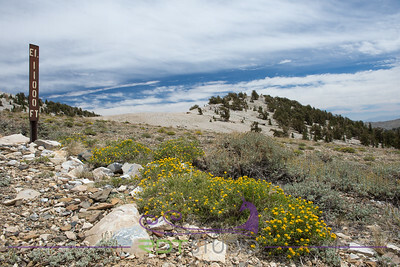 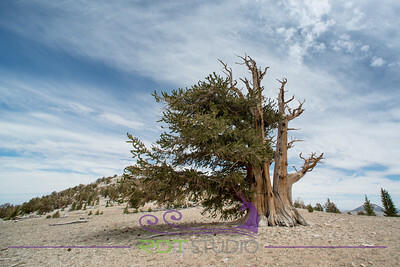 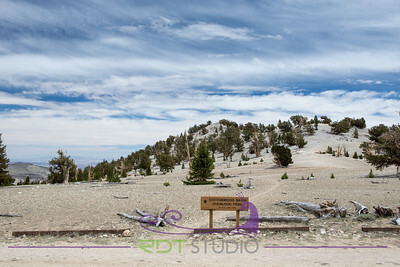 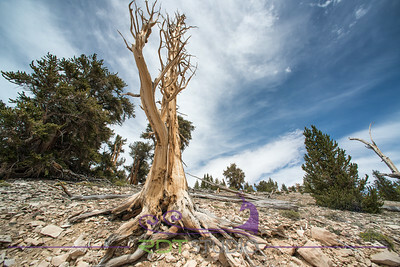 The bristlecone pine has an intrinsically low rate of reproduction and regeneration, and it is thought that under present climatic and environmental conditions the rate of regeneration may be insufficient to sustain its population. 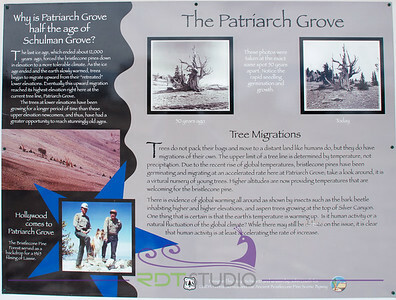 The species are on the International Union for Conservation of Nature (IUCN) red list. 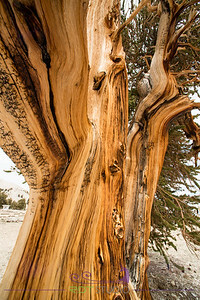 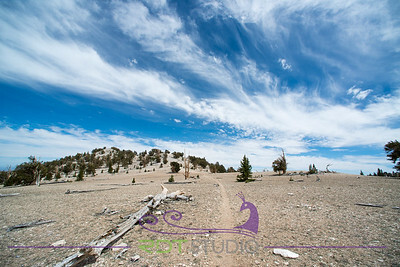 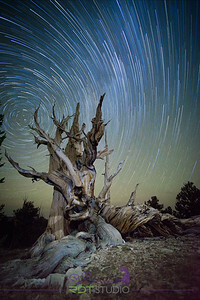 Bristlecone pines are protected in a number of national parks such as the Ancient Bristlecone Pine Forest in the White Mountains of California and the Great Basin National Park in Nevada, where cutting or gathering wood is prohibited. 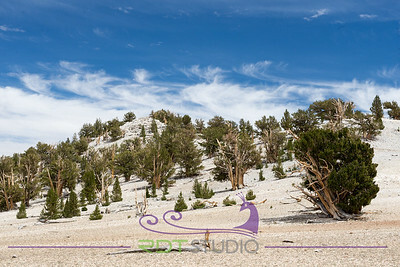 The green pine needles give the twisted branches a bottle-brush appearance. 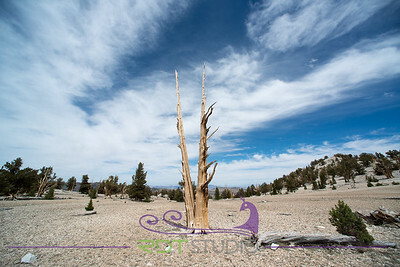 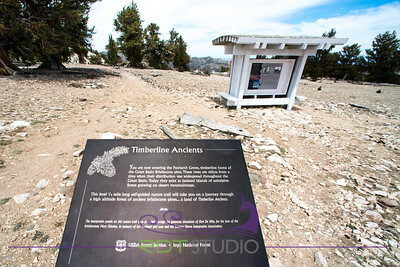 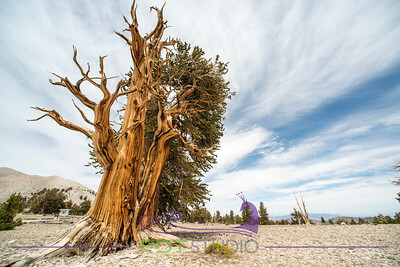 The name bristlecone pine refers to the dark purple female cones that bear incurved prickles on their surface. 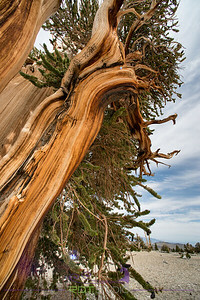 These ancient trees have a fittingly gnarled and stunted appearance, especially those found at high altitudes, and have reddish-brown bark with deep fissures. 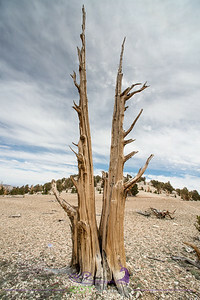 As the tree ages, much of its vascular cambium layer may die. 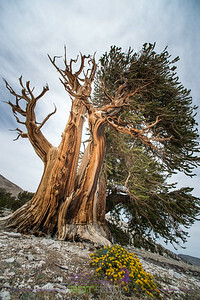 In very old specimens, often only a narrow strip of living tissue connects the roots to a handful of live branches.